April 17, 2019Dr. 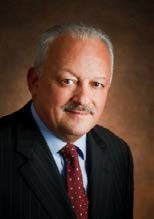 Tomás D. Morales, President, California State University, San Bernardino will be honored for his extraordi​nary contribut​ions to the cause of equal opportunity and diversity through higher education at the Associati​on’s 45th National Conference and Annual Meeting in Indianapo​lis, IN on June 12th. March 26, 2019Color is at the forefront of the new opal jewelry collection by award-win​ning designer, Jeffrey Bilgore.